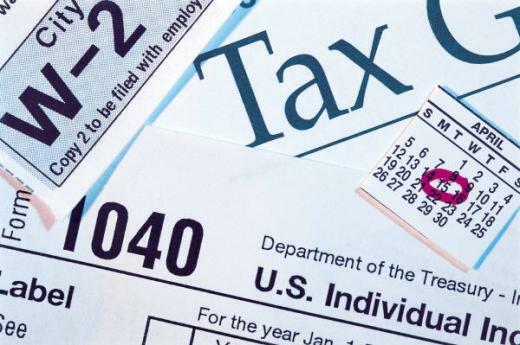 It's April 15th and here's why that's a bummer: It's tax day! It's the day when those of us who are working for a living turn over a significant chunk of the money we've earned to the government. The government, in turn, takes that money and makes this country a stronger, better place. The people we've elected carefully watch each dollar and make sure it is used to maximum effectiveness to help only those with dire needs and to give the best equipment to our military while making sure our roads and bridges are in the best shape possible and, of course, put a little away so if we get ourselves into a bind, we have some extra money available. No, just kidding - the money, through a complex, multi-faceted equation gets distributed to various programs and institutions across the country but not before at least 40% of it is "misplaced," never to be seen again. And, of course, some is set aside to help the polar bears buy cocoa-cola so they can cool down during the global warming. Actually, that money would be better spent on polar bears than where much of it actually goes. It's April 15th and here's why that's worth celebrating: It's Jackie Robinson day! Among the most significant events in the history of sports was the day Robinson broke the color barrier in America's pastime and suited up for the Brooklyn Dodgers -- April 15th, 1947. Some 67 years later, his courage, his strength and his ability are celebrated. It is sad he endured so much unnecessary hate and vitriol but we are better as a country and baseball is better as a sport because he did. All Americans owe Jackie Robinson a debt of gratitude for showing why it is the content of one's character that matters most. It's April 15th and here's why that's mysterious: It's the day Ray Gricar went missing! It is confounding how a district attorney could just disappear with nobody knowing what happened to him. Was he murdered? Did he commit suicide? Did he just leave on his own accord? Was he abducted? Was he placed in a witness protection program? Did his involvement in the Jerry Sandusky case play any role? The theories are endless, the questions unanswered and the speculation rampant. Every possibility seems both credible and flawed. It has been nine years and we still do not know what happened to Ray Gricar. Will we ever? It's April 15th and here's why that's confusing: It's spruminter! A little spring, a little summer, a little winter - all within about a 12-hour period. Welcome to spruminter! Weather in the valley of happiness is always a little tough to get a handle on, but this is ridiculous. A little sunshine with temperatures in the 60's with some rain and wind and then a little snow with temperatures in the 20's?!? Dr. Jekyll, have you met Mr. Hyde? It's April 15th and here's what that means to football fans: It's 137 days until the Croke Park Classic in Ireland. James Franklin will make his head coaching debut when the Nittany Lions take on Central Florida in Dublin and I can hardly wait. The Nittany Lions will be looking for offensive linemen between now and then and if they can find a few, this inaugural season under Franklin may be promising. If they can't, it's hard to see how this team can sustain the success of the last two seasons. But the excitement about the future of the program is only heightened with the unique opening game trip and then the quick turnaround to Franklin's first game at Beaver Stadium, against Akron, on September 6th. It's April 15th and here's what else is on my mind. We are just over a month away from the primary election and citizens in the State College Area school district will have to decide on a referendum to appropriate money for the high school renovation project. Many have concerns about the project, as do I, but I have more concerns if the project continues to be put off. Voting is underway in the Penn State alumni trustee elections. After this election, the alumni will have done all they can do, directly, to change the leadership at Penn State in a more positive direction. Here's hoping the leadership can come together and learn from the mistakes of the past and truly make the university a stronger, better place of higher education with the best days ahead. And finally, we are one day away from the NHL playoffs. Here's hoping I am able to grow a full beard this year and Lord Stanley's Cup can be raised in the Steel City. Let's Go Pens! 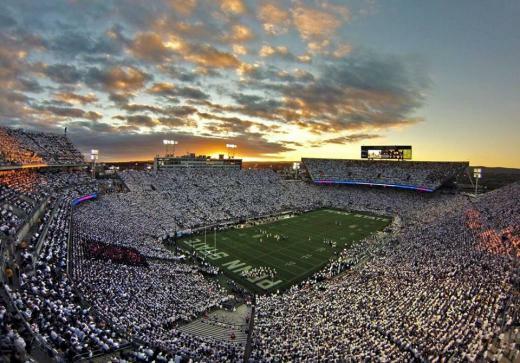 Get your popcorn ready, Penn State and Ohio State are set to face off under the lights this fall. For the second straight season Penn State will play both Michigan and Ohio State in prime time -- the Oct. 25 meeting against the Buckeyes taking place at Beaver Stadium.